Warm, breathable and rugged enough to bust through brush, the versatile Tough Puff Shirt features an abrasion-resistant, 100% polyester shell with mechanical stretch and a moisture-shedding DWR (durable water repellent) finish. 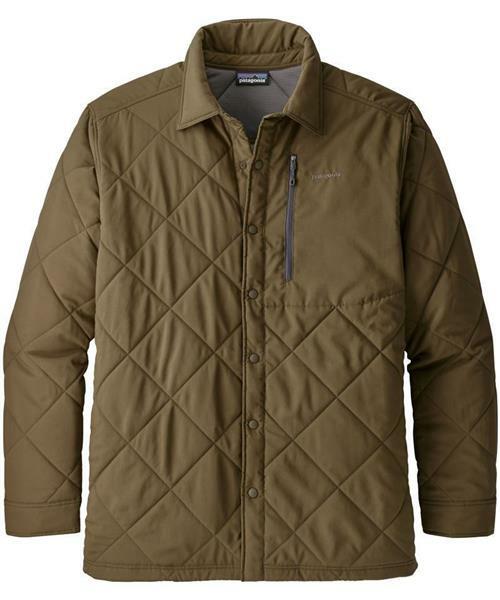 It’s insulated with stretchy, 60-g FullRange® insulation that won’t hold water and stays warm even when wet; the insulation is backed by a soft, fast-wicking 100% recycled polyester Capilene® inner lining for increased comfort and efficient moisture management when you’re on the move. Additional features include a snap-closure placket, a large vertical zip-closure pocket on the left chest and adjustable snap-closure cuffs. Offering excellent freedom of movement in cool conditions, the durable Tough Puff works just as well on its own as it does layered under a hard shell in heavier weather.